Hi Lori! I like Lens Day. I do Wordless Wednesday. 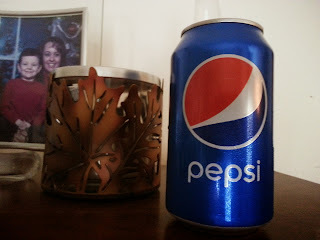 I used to LOVE Pepsi & Coke! Then I noticed about 10 years ago, I started to feel very anxious after drinking one. It eventually turned into panic attack. I went to the dr & he told me it was common - that one day your body just stops being able to metabolize caffeine. :( Funny, but after that, I've talked to dozens of people that can't drink it anymore. So I haven't had caffeine in years...everything is decaf. :( but better than a panic attack! Lori, I just read your comment, & yes Emily still has her Lilly. I don't think she will ever let her go. She still takes it everywhere! I admit, I'll be sad when the day comes that she puts her up. :( Hugs! I am exhausted just hearing about everything that you need to do. I think it's great that you do your lesson plans far in advance. It's got to be a great help to you while the school year progresses. Hi Lori! Wow, you've been busy. I think it's pretty amazing that you're a special ed teacher. That takes a special person with a very big heart. :) How amazing for you! I'm so glad that you were able to get your plans done. Hopefully tomorrow you will be able to get October and perhaps even November done. Hope you had a great Wednesday! When I was a child, Pepsi was my drink. As an adult, it's Coke, or more specifically cherry coke. I don't drink it much any more though unless it's sugar free. I'm glad you're making progress with your lesson plans! Have a great day. Hi Lori, I will always be thankful to my son's special ed preschool teacher. She taught us a lot. I am sure you are a great teacher. Good to get a jump on your lesson plans. If you ever decide to go back to a web home, I can send you the html and you just plug in with your graphics. Happy Summer! Hi Lori; I was never a soda or pop as some say, drinker. I'm an original milk and coffee baby LOL! Hope your October lesson plans are going well. Have a blessed weekend my friend.